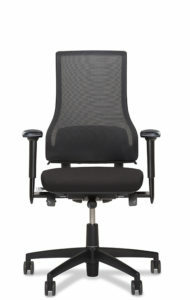 Axia 2.0 Office Chair series - BMA Ergonomics. 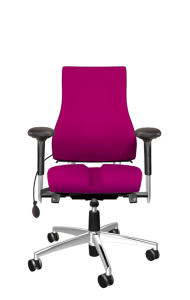 The Axia 2.0 is not just a chair that helps you achieve a relaxed and healthy posture. It is a complete and sophisticated seating system that brings together all our expertise in the field of ergonomics, design, technology and sustainability. 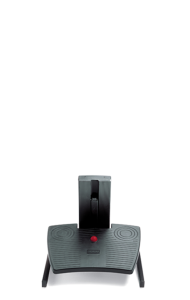 People are different, this system makes users more aware of their posture when seated and actively supports them. Watch the Axia 2.0 movie now! How does it feel to sit on? There are Axia chairs for every office and interior. An Axia chair has a modular construction and can therefore be adapted to your body shape. 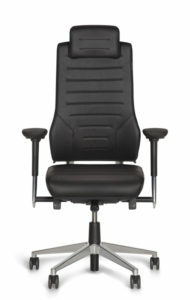 Each Axia chair is delivered to you in person and correctly adjusted on site. The seat and back of an Axia chair move with you, always providing the support you need. 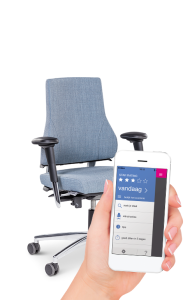 The seat and back of the Axia Smart Chair feature built-in sensors that monitor your posture. If you wish, they will provide a signal if you are not sitting properly. When you do sit properly, you are able to do more work. Maybe you can stop an hour earlier! Each Axia chair has a residual value guarantee. We buy back your old office chair then recycle it or give it a second life.